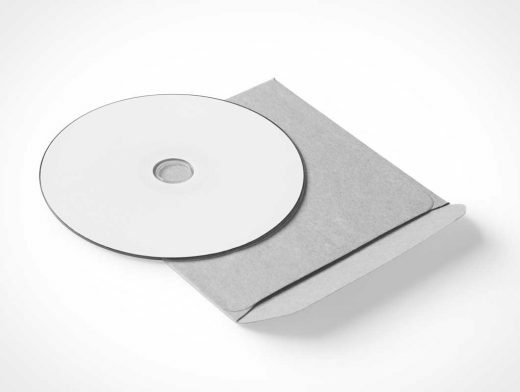 This PSD Mockup presents your artwork on a CD and paper fibre envelope stacked on top of each other. The composition is rendered at 45° with the light source appearing from the top right of the scene. The compact disc and envelope are not separable but rather fused as a single raster element. The shadow is provided on an independent layer and can be increased or decrease in intensity or removed altogether. The background, shown as white here, is fully transparent when the background layer is toggle off.